We at Beaumont Inn are so excited and proud to announce the release of the sixth edition of Beaumont Inn Special Recipes Cookbook. 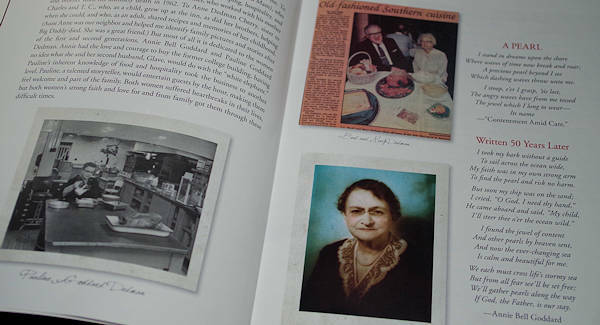 Revised by Helen and Chuck Dedman, fourth generation innkeepers, it includes approximately 170 recipes including tried-and-true recipes from the previous cookbooks and many “never before published” recipes. Order online now! The first cookbook, a small pamphlet with about 20 recipes, was written by first generation, Annie Bell Goddard, in the 1930s. A few years later she and her daughter, Pauline Goddard Dedman, compiled the second edition, again a small pamphlet. Not until the 1970’s did third and fourth generations, TC, “Bud” and Chuck Dedman create a little larger pamphlet with a color cover! Approximately 10 years later TC and his wife, Mary Elizabeth, took the cookbook to another level publishing a book with over 150 recipes which was so popular it was revised in 1983 and reprinted seven times. 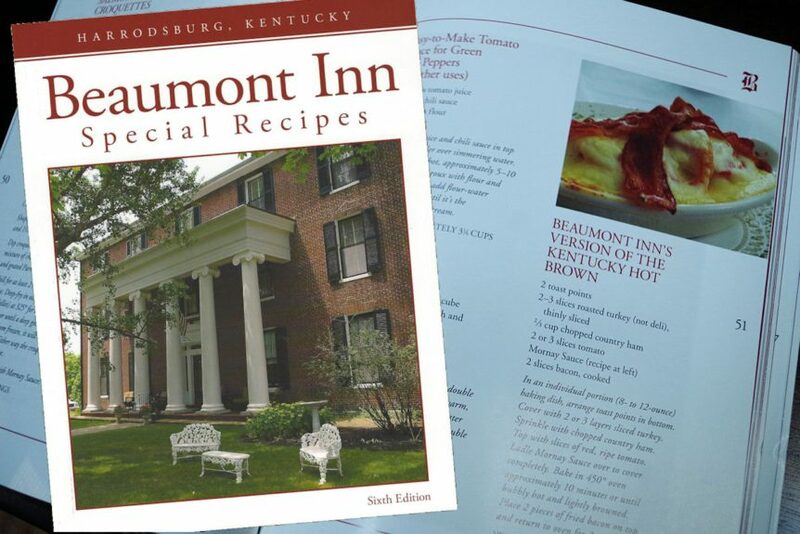 All editions of these cookbooks, including the newly released sixth edition, include Beaumont Inn’s traditional signature items such as corn pudding, yellow legged fried chicken, how to cook a country ham, chicken cheese casserole, and the Robert E Lee orange lemon cake. 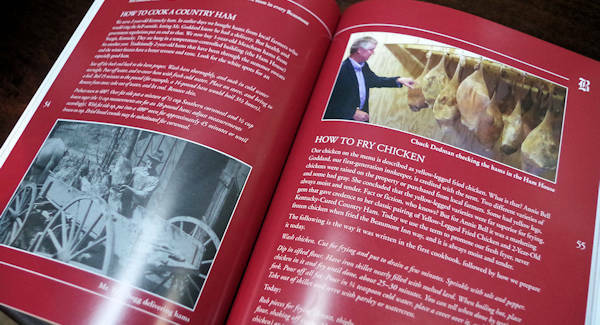 The sixth edition includes frequently requested recipes, never before published and currently served in the Main Dining Room, Old Owl Tavern or Owl’s Nest, such as mock scalloped oysters, creamy cheese grits, Beaumont Inn hot brown, and bread pudding with bourbon sauce. 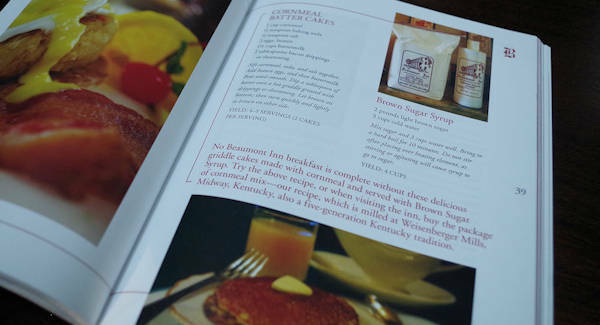 Each generation has brought a new level, new recipes, new improvements (Dixon has even revived Kentucky Owl Bourbon Whisky once distilled at his great, great grandfather, CM Dedman, at Dedman Distillery on the Kentucky River) but the purpose for existence of offering “a place to stay and good food” with the Southern hospitality still remains. Today Beaumont Inn includes three buildings of 31 guestrooms, a spa, an outdoor pool, and 3 restaurants each with full bar and wine lists. The Main Dining Room serves our traditional recipes, yellow legged fried chicken, Kentucky cured country ham and corn pudding. The Old Owl Tavern and Owl’s Nest offer a bit more casual dining option with such favorites as barbeque ribs, catfish, and shrimp and grits. Beaumont Inn was awarded one of the America’s Classics by the James Beard Foundation in 2015. “Restaurants with timeless appeal, beloved by their regions for quality food that reflects the character of their community. Establishments must be locally owned and in existence for at least 10 years.” A tribute for each generation! 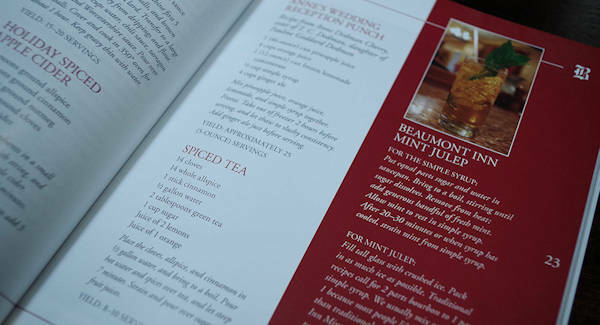 The cookbook is available online, at the Beaumont Inn Gift Shop, or call 1/800-352-3992 to order. Cost is $20 plus shipping. Beaumont Inn Gift Shop hours are Monday-Tuesday, 9-noon, Wednesday-Saturday, 9:00-6:00pm. Sunday, 9:00-3:00pm.